@SportsCardNews and Colin make a RARE back2back appearance on the Sports Card Show Podcast. You know something HUGE must have happened for us to interrupt our summer for more sports card talk. This time it comes from website cardboardconnection.com. The owner/self proclaimed “CEO” of the website is Michael Smeth, aka Mike Smeth. Apparently for a few years he’s been stalking victims online, including Panini’s own Tracy Hackler!!!!!!!!!!!!!!!! 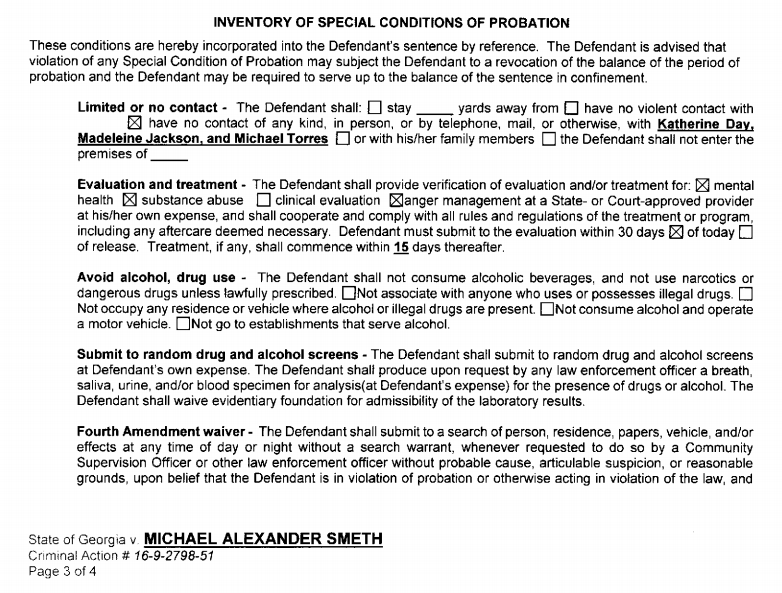 We’ve also had confirmed reports that Mike Smeth was investigated by the FBI as early as 2010. 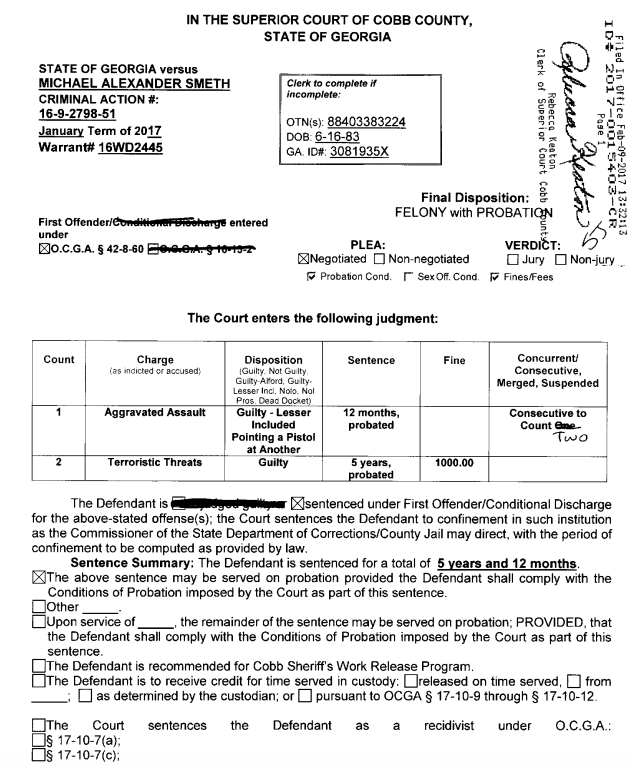 On March 17, Mike Smeth was arrested on FIVE FELONY CHARGES. 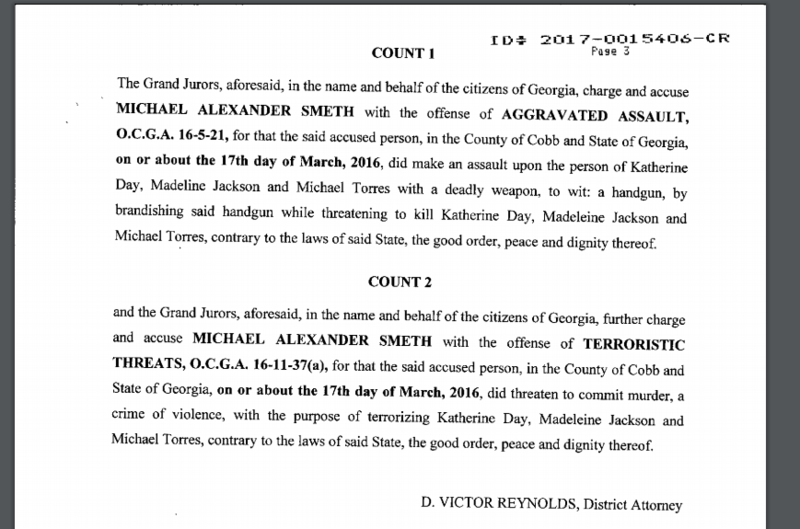 On March 17, 2016 Smeth assaulted 3 people with a gun and threatened to kill them! 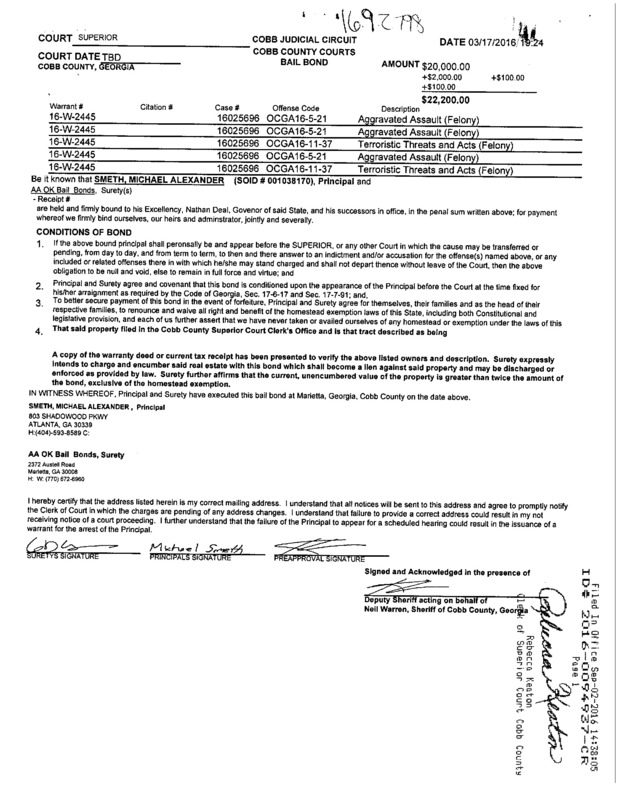 On February 9, 2017 – Smeth plead guilty guilty to Aggravated Assault and Terroristic Threats. He was sentenced to 5 years and 12 months, which will be served via probation. Earlier in the year -the Chief Marketing Officer of Cardboardconnection.com was arrested too!!!! All appears to be spinning out of control for Mike Smeth and his family. He is innocent until proven guilty, as you have said. What does a guy’s certain decades past issues, he overcame, concern helping us collector’s catalog our cards? Maybe you are a rare person who will reflect a little more and stop your imprudent jury/judge rage campaign. I thoroughly doubt you will. That’s the world we live in… savage. For many years Cardboard Connection wrote a “Law of Cards” feature that took frequent shots at Richard McWilliam’s alcohol problems. Smeth portrayed himself as someone on the level of McWilliam in hobby circles and his exploits merit coverage. As pointed out in the podcast, innocent until proven guilty applies in the courtroom and not in the court of public opinion. I read Paul Lesko’s “Law of Cards” column where he was giving a legal analysis of McWilliam’s videotaped deposition in a case with a Hall of Fame pro sports figure’s attorney – who repeatedly questioned McWilliam during a seven-hour deposition, where he “exhibited signs of intoxication, including smelling of alcohol and slurring his words…” the attorney recorded. McWilliam’s own wife PUBLICLY lamented the decades long binge drinking/alcoholism that eventually killed her husband. McWilliam’s Upper Deck Company, with its hologrammed Griffey Jr., rookie, was a “key player” in the history of cards, yet they (he) continually was in litigation, which was problematic for the card market, hence Lesko’s prudent coverage of the story. Your senseless words come across as a pure ad hominem attack, with a monetary motive to boot! It’s a small hobby to some extent… which is again starting to get more press. Don’t be short sighted, think big picture for yourself and others who want the hobby to grow and make it bigger than ever. “Big picture” for myself doesn’t involve making a lot of, or frankly any, money from the hobby. Seems like you are deeply involved, and maybe it means a lot more to you for any kind of negative story to be squashed. Thanks for your comments. No, I am all for exposing negative elements in this great hobby in a professional and disinterested manner, which, most unfortunately, is not what your recent postings convey. Hopefully another website will cover the story in a professional and disinterested manner. Thank you for your comments. If* he’s doing this then yup he’s done. Yes innocent until proven guilty but his track record is less than sparkling. Past records usually in a majority of cases say something about you. Very rare people change, because habits are hard to break. Again it’s not fair but it is what it is. My opinion is that whatever he does outside the hobby doesn’t affect the hobby or us. It hurts him, his family and his company. That’s all there is to it. And just because he’s bringing this to light doesn’t mean he’s picking on him or he hates him or anything else. Just FYI things. Nice to know though. Hopefully he gets his crap together.